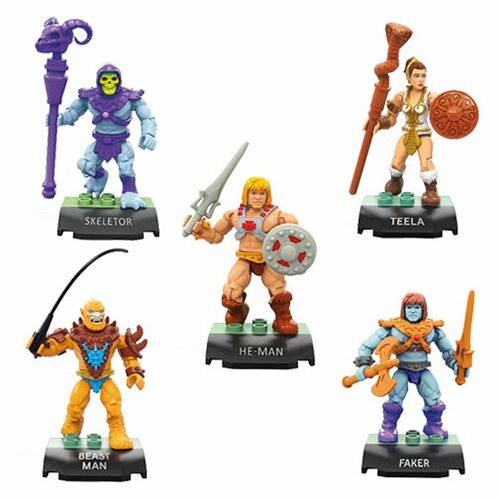 After the rise of the Horde Empire, evil again outweighed the forces of good in the five dimensions. 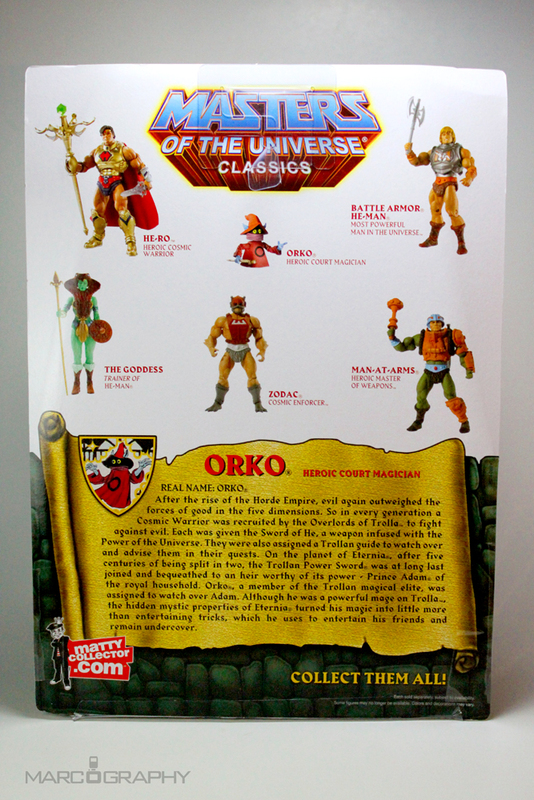 So in every generation a Cosmic Warrior was recruited by the Overlords of Trolla to fight against evil. 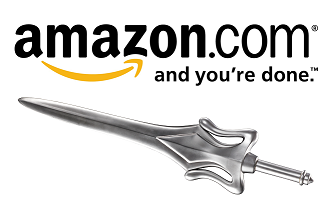 Each was given the Sword of He, a weapon infused with the Power of the Universe. They were also assigned a Trollan guide to watch over and advise them in their quests. 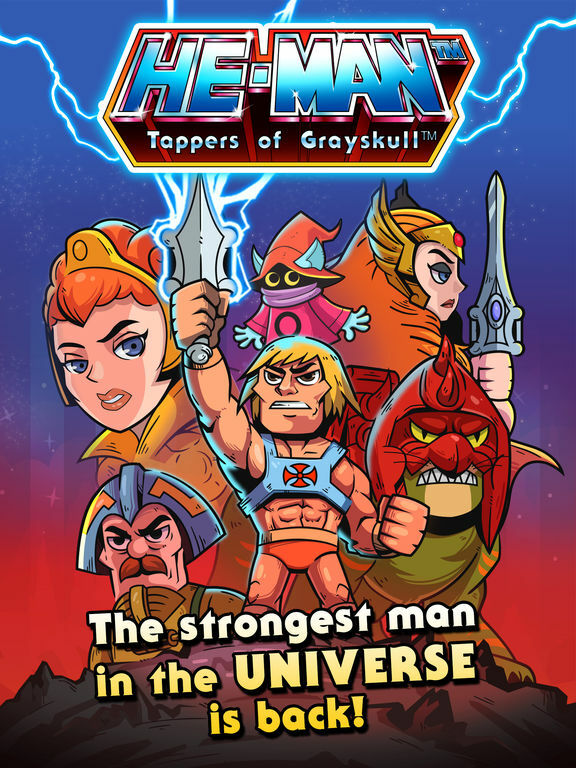 On the planet of Eternia, after five centuries of being split in two, the Trollan Power Sword was at long last joined and bequeathed to an heir worthy of it’s power – Prince Adam of the royal household. 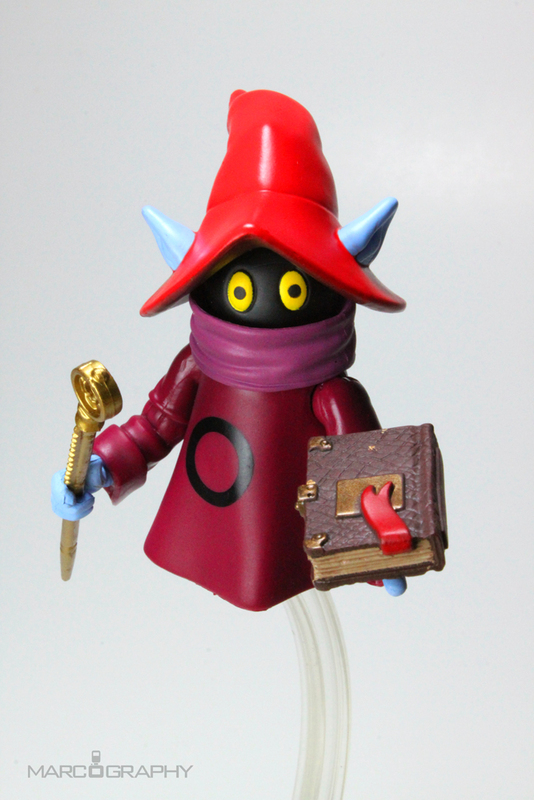 Orko, a member of the Trollan magical elite, was assigned to watch over Adam. 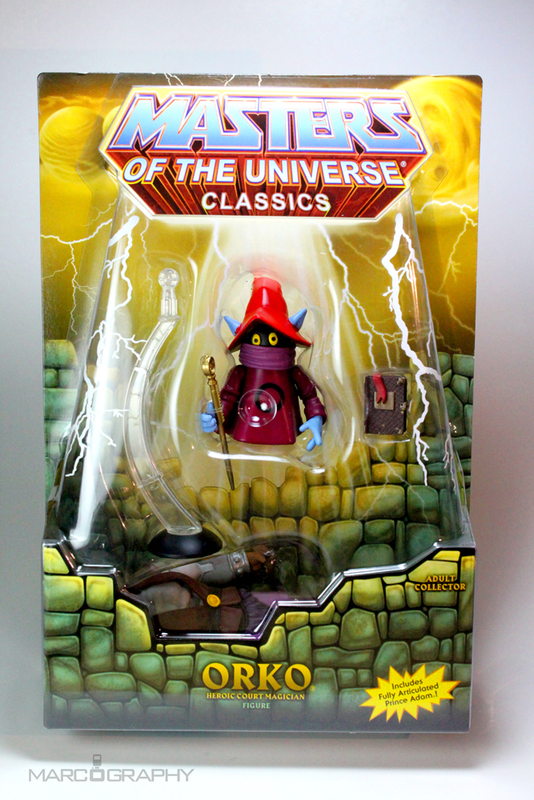 Although he was a powerful Mage on Trolla, the hidden mystic properties of Eternia turned his magic into little more than entertaining tricks, which he uses to entertain his friends and remain undercover. 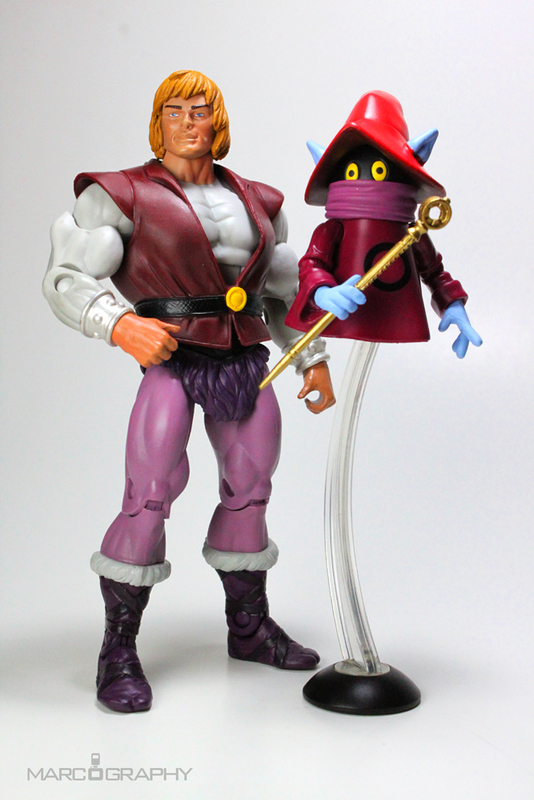 The Orko figure also comes with a bonus* Prince Adam action figure. 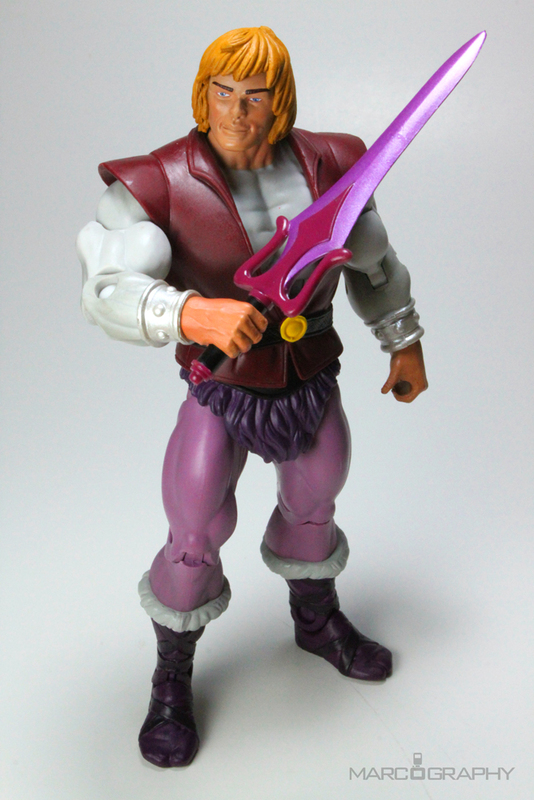 Prince Adam comes with two heads: the standard He-Man head and a “smirk” head. 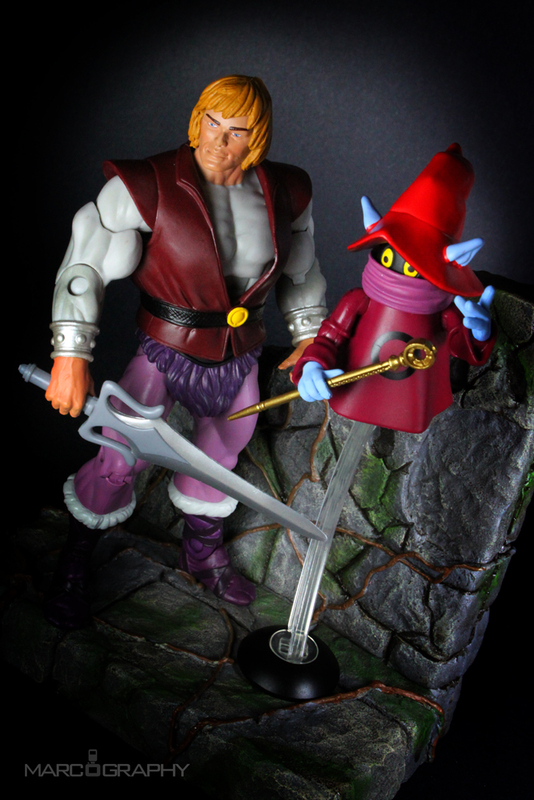 The figure also comes with a Power Sword and a half-sword in light purple.